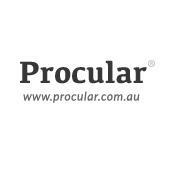 Procular is an Australian online retailer specializing in binoculars, telescopes and optics. Their website offers professional advice on choosing binoculars and a wide range of optics for bird watching, hunting, marine, travel and outdoor activities. Easy to use, you can import your articles, texts, and documents for saving time in your work. Reading through long text passages and trying to locate the key points can be exhausting. The time-consuming task just became incredibly quick and easy with the unique online summarization abilities of Resoomer. Individuals can copy and paste up to 20,000 characters of argumentative text or the URL of an article and with a single click, Resoomer will analyze it, provide a summary, and highlight the most important sentences and facts. Resoomer is multilingual, providing summaries of English, French, German, Italian and Spanish texts. Individuals can also use the manual button to determine the level of summary they want, from 90 percent to a mere 10 percent. Individuals enjoy complete confidentiality and no summary is ever saved. The summary tool is a real time saver for educators and students who routinely must distill large volumes of information for classwork and professional documents. It’s also effective for working with a scientific treatise. Resoomer increases productivity for librarians, museums and institutions when creating presentations. The tool can provide individuals with a better understanding of complex subject matter, from Wikipedia entries to news stories. The unique tool can be used to summarize an article for those in writing professions that includes journalists, editors and publishers to help explain topics to readers in an easy-to-understand manner. It’s also helpful for authors when working on any type of book project, creating summaries for online works, and marketing experts when producing press releases. The online summary tool is free to use for text of up to 20,000 characters and a premium option is also available. For a small fee of 4€ (approximately $4.50 US) individuals can download the Resoomer browser extension that comes with some impressive benefits. A premium account allows individuals to summarize up to 200,000 characters (about 40,000 words). Documents can be imported and there are no limits on summarizations. It’s ad free, requires no installation and even provides Web PDF summaries. Resoomer is revolutionizing the way people prepare presentations and identify key information for their own edification and for use in their professional life. The algorithm employed by Resoomer is text summarizer for greater productivity, time savings and understanding of complex topics.